President Obama and First Lady Michelle, wrote a letter to Traditional Balsamic Vinegar producers Acetaia di Giorgio praising them for their wonderful product. It’s not everyday that a company gets such a letter from the president of the United States. One can only imagine the pride and satisfaction they felt. After all, there’s a huge difference between Acetaia di Giorgio traditional balsamic vinegar and what’s sold at the supermarket. President Obama, as well as connoisseurs from Italy and around the globe all agree that Italy’s Traditional Balsamic vinegar is as precious as liquid gold. 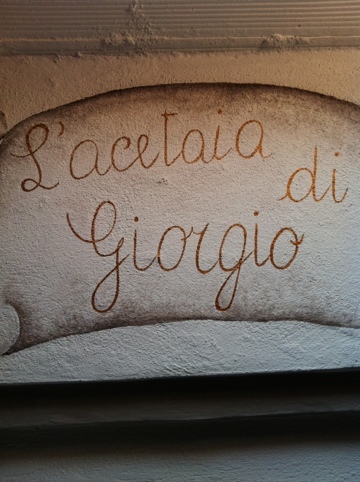 The best variety, hands down, comes from Acetaia di Giorgio. Balsamic vinegar made by Giorgio’s family goes through an elaborate process which has been passed on by his grandmother and remained the same over the years. The vinegar is aged for a minimum of 12 years (and up to 24 years) in barrels of different noble woods such as juniper, mulberry, chestnut, and ash. Although many years have passed and the process has gone unchanged, the results still produce the same exquisite balsamic vinegar that goes well in many dishes, and is continually praised even by dignitaries. There are two ageing of Traditional Balsamic Vinegars that are made according to the highest of standards by the producers at Acetaia di Giorgio. Some batches are aged 12 years, and the extra old ones are aged 25 years. 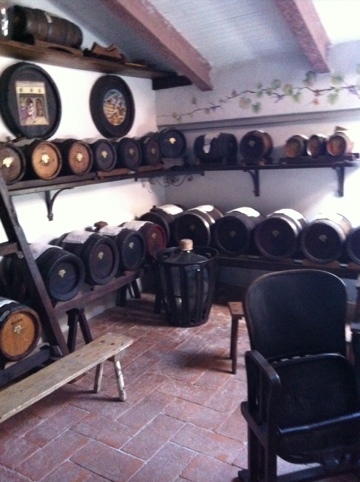 Together, there are seven different varieties of Traditional Balsamic Vinegar of Modena made by Giorgio. Traditional Balsamic Vinegar of Modena White Cap, White Cap Cherry and White Cap Juniper are those that have been aged for 12 years. 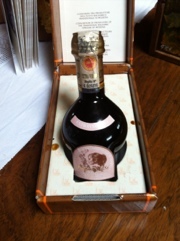 Traditional Balsamic Vinegar of Modena extra old comes in Gold Cap, Giorgio Primo Reserve Cherry, Giorgio Primo Reserve Juniper, Carlotta 1986, and Superior. All having thier own flavour which satisfies individual palates. It must be noted that the vinegar labelled Cherry and Juniper have been aged in only one kind of wood to give to the product a truly unique flavour. Regardless of which Acetaia di Giorgio Balsamic Vinegar you choose, you can be sure that each varieties has an incredible complexity of aromas and flavours and fit for a king or a president. Emilia Delizia can organise a gourmet food visit in Modena with a balsamic vinegar producer tour, also we can add to your day parmesan cheese production tour, Parma ham, Lambrusco wine tour, castles and art guided visits of Modena and neighbouring towns. Previous Previous post: Parmesan dot com Launches in the U.S.